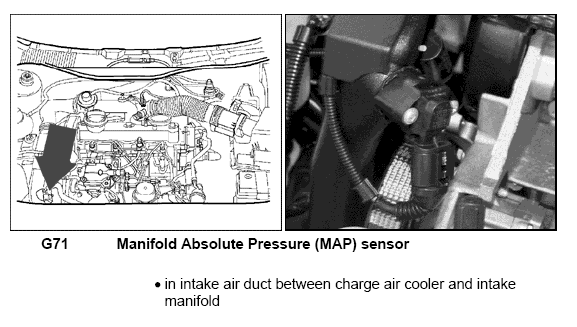 MAP sensor is also called Manifold absolute pressure sensor. When MAP sensor gets faulty,you get P0106 error code. Car temporarily runs OK after being started, but looses power after some time of driving.The power loss will be particularly noticed in the higher gears as compared to driving in lower gears. It loses power abruptly after a period of running under load. Power may or may not return temporarily by taking load off the engine and then resuming, and generally returns temporarily after switching off the ignition until the same load conditions occur again. These code says MAP or Bar Pressure Range/Performance. 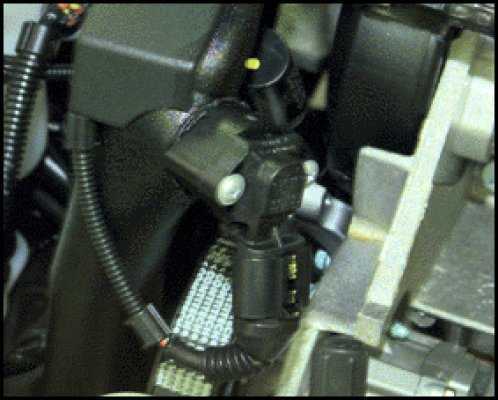 The MAP sensor is located in the intake duct between charge air cooler and intake manifold. On the 2000 Jetta it is just to the front of the windshield washer reservoir.To replace MAP sensor remove the reservoir and you could access it easily. · How to test MAP sensor?